Place butter and chocolate in a small pan and melt oven low heat. When chocolate and butter is just melted add vanilla and sweetener and blend together. Place cream cheese in a medium bowl and pour chocolate mixture over it. With a hand mixer mix about 2 minutes. Pour into a greased pan. I use a 6 x 8 pan and I freeze it and cut into squares. 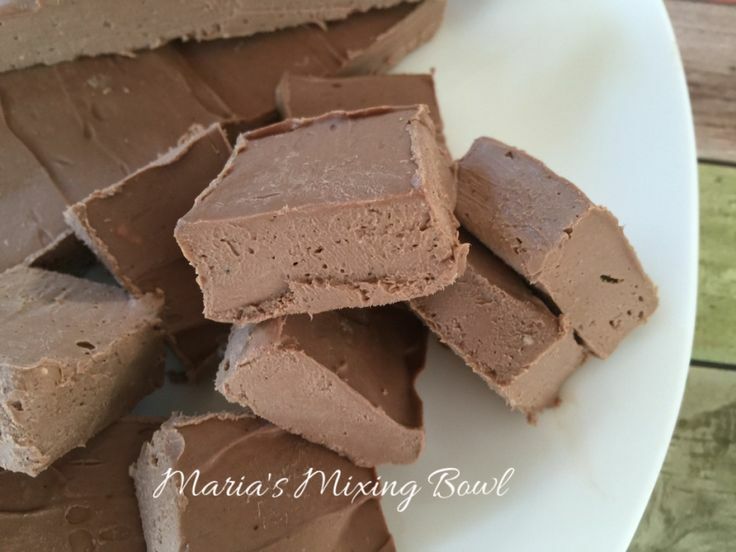 This makes a great frosting for mim’s or low carb cookies ect. makes 24 pieces at 0.3 carbs per piece. Share this incredibly delicious recipe with your friends!